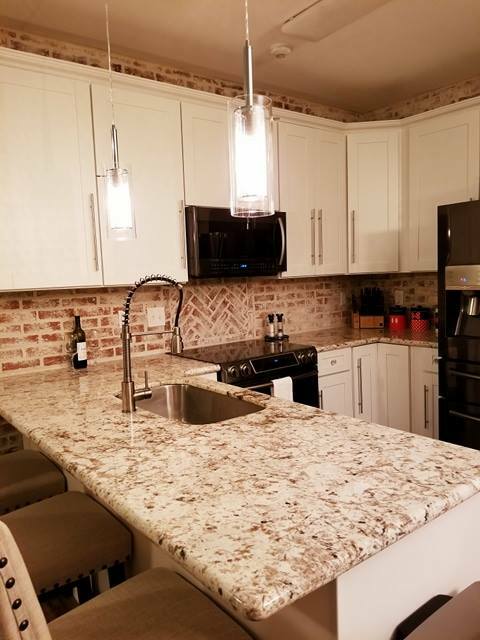 Lancaster Running Bond brick tile is named for the 18th and 19th century brick buildings and townhouses lining the streets of historic downtown Lancaster, PA, the hometown of Inglenook Tile Design. 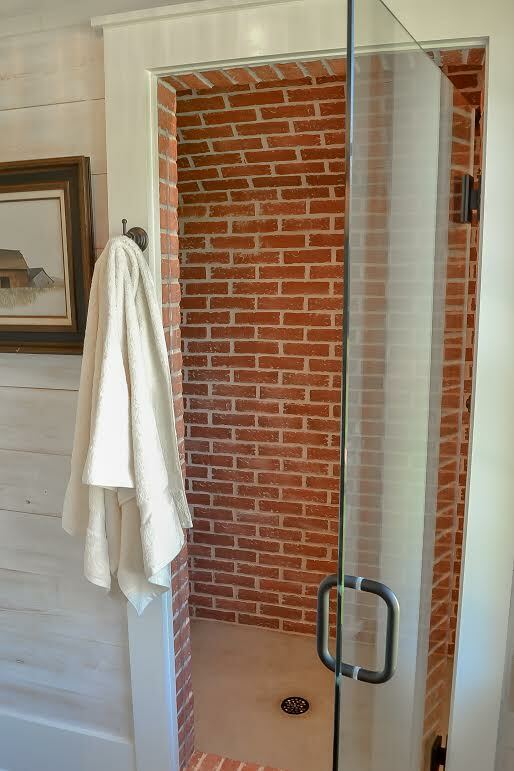 This lightweight brick veneer is the side view of an antique brick, and is meant to simulate an exposed brick wall. It can be used in both interior and exterior applications. Lancaster Running Bond has also been used for striking floors and arched ceilings. Chimneys, building brick veneers, kitchen back splashes, and fireboxes are only a few of the installation possibilities. 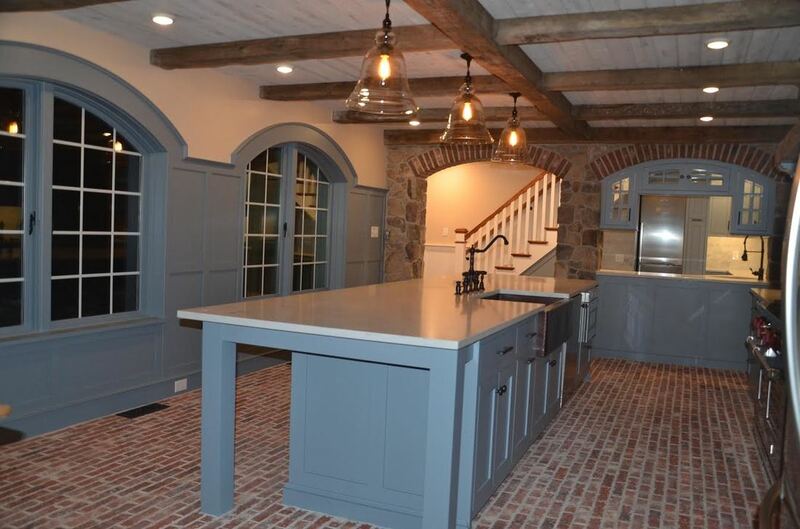 Keep in mind that the same clay is used on all our brick tile styles and that the different color effects you see on one can be made on any style. 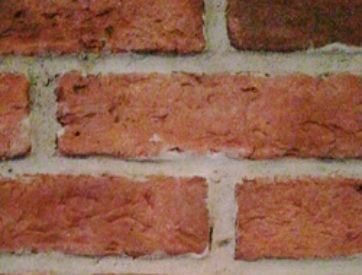 Contact us to discuss the best brick tile for your home or business. 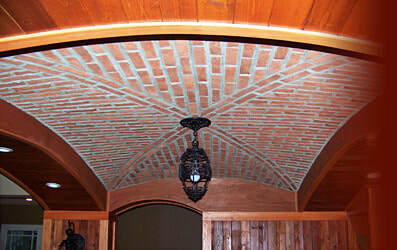 Lancaster Running Bond tiles used on an arched ceiling.